A fit tennis player needs to have a strong, explosive and well-coordinated body with great stamina and flexibility. 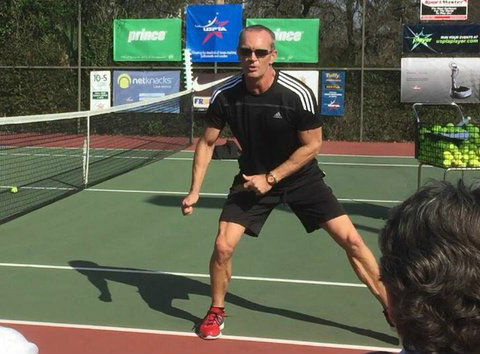 I wanted to share with you the TOP 5 of the Footwork Exercises that every professional tennis player does! Tennis conditioning and fitness is an aspect of tennis training. Pro tennis players know the need for tennis conditioning and tennis footwork exercises. Every one of us is capable of undermining our own goals because we all have an inherent inclination to self-sabotage. Two of the most important questions we can ask ourselves are why and how we get in our own way when we seek to achieve what matters most to us. The first step to improve your mental approach to racing is to understand how you might sabotage your success with doubt, high expectations, perfectionism and other mental game roadblocks…. Neurogenesis: Are you the Master of your Mind? Or the Slave? If I’d known when I was in therapy how our precious brains work, how we should take the reins and ride through the landscape of our minds, fertilizing the land to grow healthy brain cells, would I have reached this state of inner peace sooner? 2019 © Raw Tennis Performance : High Performance Tennis Training - All Rights Reserved.